Visit our Schedule Page to view, subscribe and print the 2015 Season for ALL supermodified sanctions and tracks. 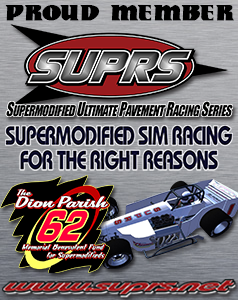 Click image to learn how you can race your own supermodified online and help support injured supermodified racers! Here's to a safe International Classic 200 and may everyone "Keep It Wing Side Up & Wheels to the Ground!"